How far can you go in a Leaf? 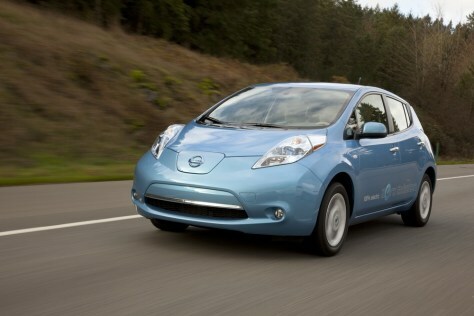 The Nissan Leaf takes on an uphill road in the Issaquah Alps of Western Washington. Ups and downs can affect the car's estimated range.